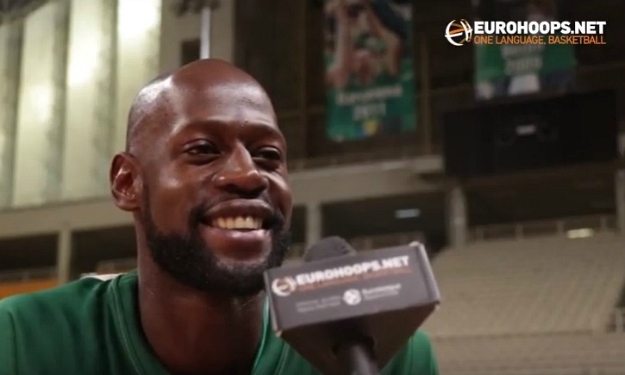 James Gist opened up to Eurohoops discussing about Panathinaikos OPAP Athens goals for this season. James Gist has yet to play in the EuroLeague Final Four with Panathinaikos, but wants to achieve this feat this year. “It’s difficult, it’s not easy. It could come down to one possession, two plays, and many different factors. It’s something that we strive hard for. We had the opportunity to compete for a spot in the Final Four every year. It’s our goal to get there” he said. The 32-year-old forward/center is with the “greens” since 2012. Here’s what he told Eurohoops about his whereabouts next June and last year’s Finals of the Greek League: “The finals are the goal of our team, our organization, to bring championships. Last year we lost Game 1 against Olympiacos. The president told us that it would be the first time in many years that Panathinaikos wouldn’t win a championship. That there gives the idea of what we desire”.